Our Westlake Village office believes that providing the best quality dental care involved using state-of-the-art dental equipment. At our dentist office, you can benefit from the most advance equipment on the market, such as digital x-rays, intra-oral camera, and revolutionary oral cancer screenings that makes our office stand-out from the rest. The digital x-ray is one of the greatest hi-tech advancements in medical imaging to date. By using a computer to store and manipulate data, the radiographic image is differentiated from the traditional x-ray by using significantly less radiation to produce the image. 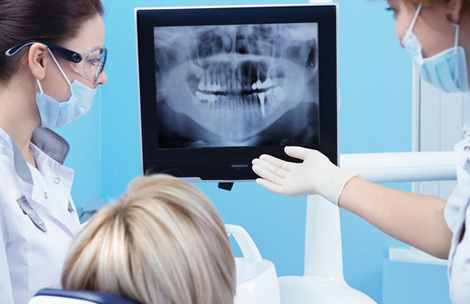 Other benefits of digital x-rays include digital transfer abilities, enhanced images, ability to be enlarged on a computer screen for better viewing, as well as being environmentally friendly since the images are strictly digital and require no physical prints. 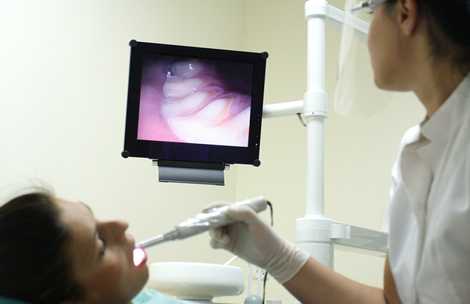 Intra-oral camera helps capture magnified images of your teeth, which allows our dentist to determine which procedures are necessary during your visit. The intra-oral camera is stick-shaped and can easily be maneuvered in all areas of your mouth. Its image quality is exceptional and helps patients understand procedure recommendations, promoting patient trust and our commitment to increased oral care. When it comes to screening and diagnosing oral cancer, time is everything. Early detection is imperative for treating the oral cancer and routine screenings are helpful in prevention. 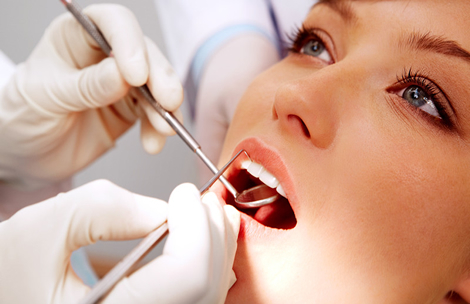 At each cancer screening, our Westlake Village dentist will look for abnormalities of the mouth and oral lesions. The cancer screenings are pain-free and are completed quickly. Dr. Kacker is featured in numerous local news shows discussing the importance of routine cancer screenings, which can be seen here. Our dentist uses advanced imaging software to enhance digital photographs and show patients the results that can be attained through recommended treatments or procedures. Dr. Kacker will be able to how cosmetic and restorative techniques can be used to perfect your smile, while also giving you a preview of what your smile will look like after treatment.